I have a great love for the Artichoke. I distinctly remember the first time I had the pleasure of eating one. I was 12 years old and having dinner at a friend’s house. I had never had so much fun eating a vegetable before! I liked them so much that I started asking for one in my stocking at Christmas because my mom never made them. I’m weird. I know. 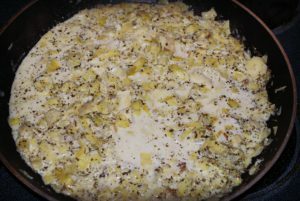 BUT– because I love artichokes I was thrilled when I tasted artichoke dip for the first time years ago. What a fantastic application of one of my favorite foods! However, I was disappointed when I tried to make it using a recipe that involved mayo because it would separate and get all oily. Not what I was looking for. I wanted creamy, stringy goodness! 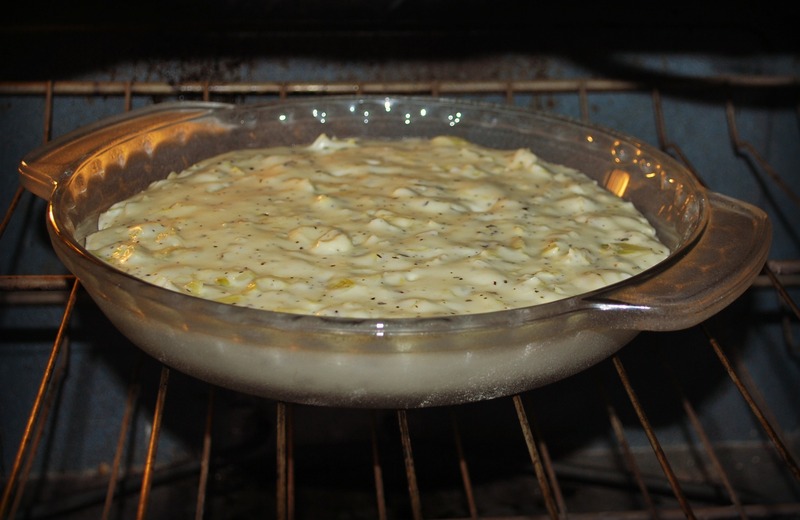 Well, I was catering with a friend of mine a couple of years ago and the chef was making artichoke dip. He let me have a sample and it was AMAZING! I asked him what was in it and was surprised when he told me he used cream cheese instead of mayo- FANTASTIC IDEA, I thought–what isn’t better with a little cream cheese I ask you? And he added a secret ingredient that made it extra delicious and different from all the others I tasted. And that secret ingredient is basil. Who knew? But, I’m telling you- the basil is where it’s at. I took some of his ideas home and made my own variation of the recipe. 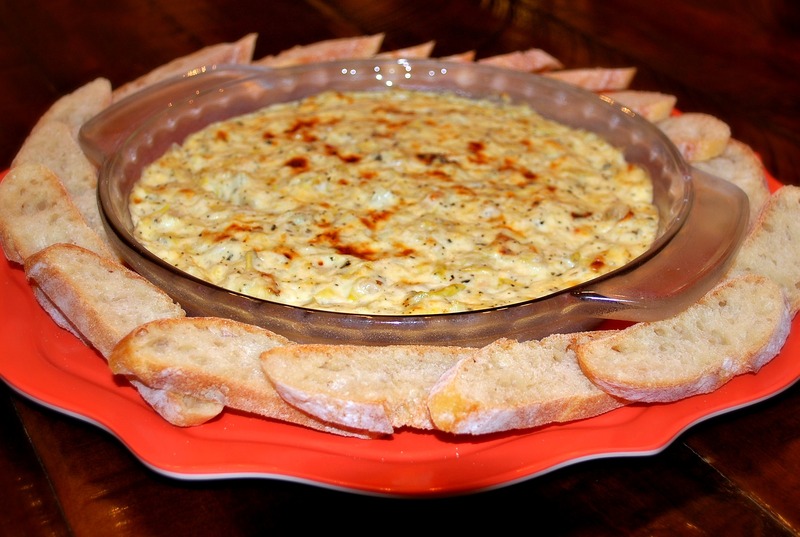 I take this to all my appetizer style gatherings and it is always a hit. I’ve had some people tell me that it was the first time they liked artichoke dip because they hate mayo. 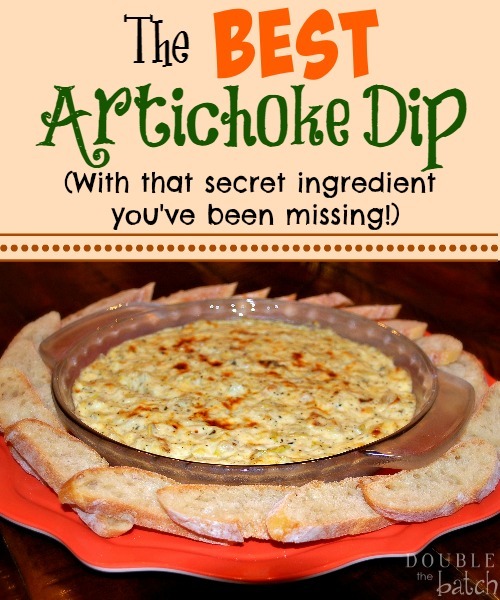 So, without further ado, I give you the BEST Artichoke Dip with that secret ingredient you’ve been missing. 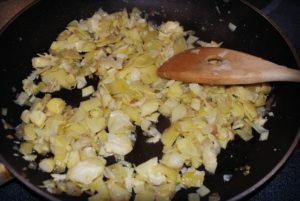 In a sauce pan, saute’ the diced shallot in olive oil over medium heat for a couple of minutes. Add in the garlic and artichokes and saute’ until the shallots are tender. Add cream, basil and pepper, and let the cream reduce and thicken a little. Add cream cheese. I like to heat mine in the microwave to soften it first so it will stir in easier. 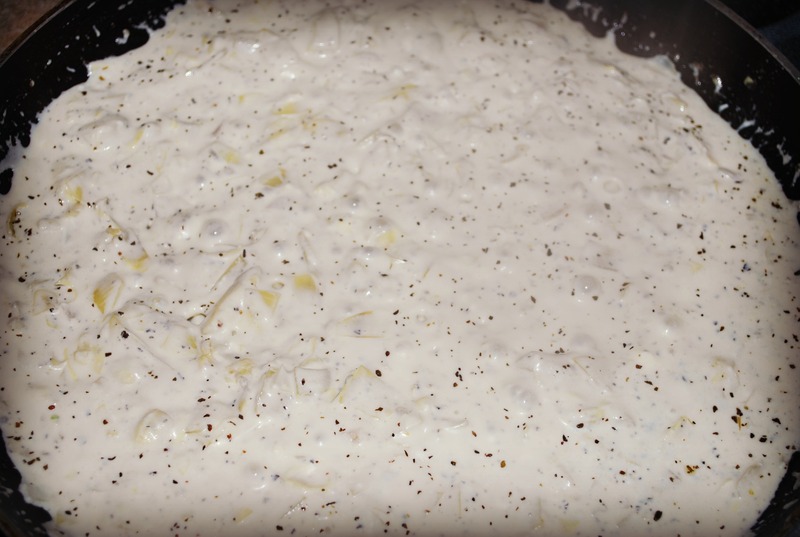 Once it is stirred in, add the Parmesan and Mozzarella Cheese and stir until all the cheese is melted and the texture is smooth. Pour the mixture in a baking dish and broil it for a few minutes until the top starts to brown. Serve with baguette slices or crackers. Delish! Check out these awesome Sweet Ham Sliders from Katie as well and hook yourself up with some Homemade Oreos for dessert!